A scout should not carry more than 30% of his own body weight. 25% is recommended, but 30% considered a maximum. A 160 pound scout can carry a 50 pound pack. A 100 pound scout should only carry about 30 pounds. The first time a Scout loads up his backpack, it will weigh just short of a ton. Load up a big pack and go out on a long hike, and you will not only suffer, you will stop the other scouts in their tracks. 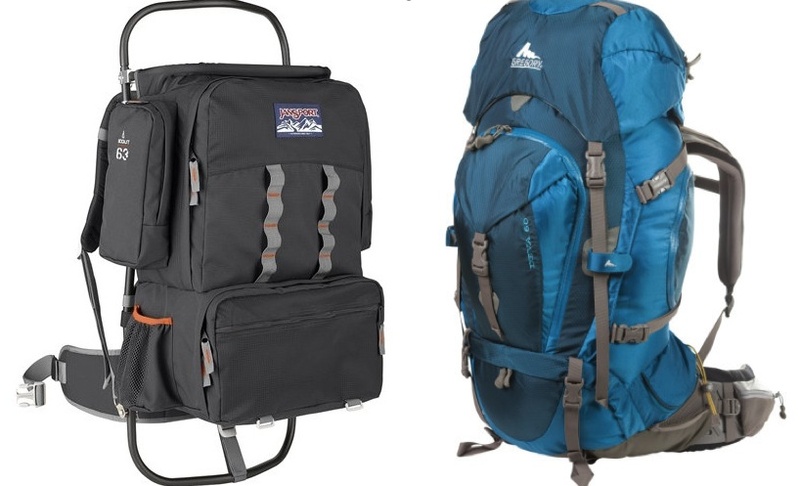 There are two types of backpacks: external frame and internal frame. It’s recommended that a Scouts first pack should be an external frame pack. Internal frame packs look cooler but they won’t carry as much gear and can be difficult to pack and unpack in bad weather. The danger of external packs is that you will carry to much gear. It is easy to load as much as 100 pounds of gear in a normal sized external frame pack. Sleeping bags, foam pads and tents are easy to attach to the pack frame. Bulky items don’t attach to internal frame packs very well. It is best to put as much of your gear as possible inside the internal frame pack. The internal frame fits tighter to your body and is more comfortable. It also is hotter because there isn’t much space between you and the pack. The most popular external frame pack used by Boy Scouts is the Kelty Trekker. It costs $110-$130. You can load a lot of gear on it and carry it comfortably.